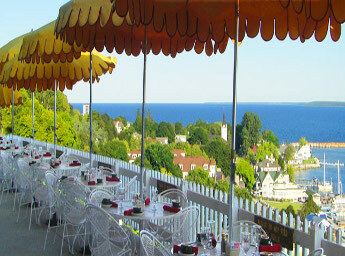 The Tea Room is located at Fort Mackinac–a Mackinac Island restaurant. Continental breakfast, lunch and refreshments with a view of the harbor and Straits of Mackinac. Food service by the Grand Hotel.